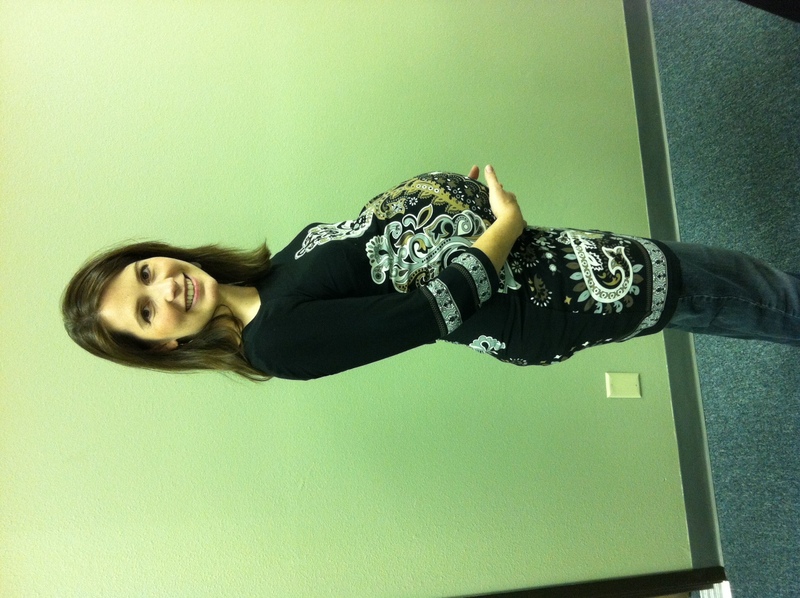 I completed my fifth pregnancy just 11 weeks ago. I can truly say that it was my best pregnancy, birth, and postpartum. Considering that I am now in my 30’s, also caring for 4 other children, and this pregnancy was back-to-back with the previous one, that amazes me. Although every pregnancy is unique for factors outside of our control (for example, I was not able to correlate more- or less-severe morning sickness with exemplary living), I did feel that the specific exercise and diet programs I followed in this pregnancy, particularly the last trimester, are what set it apart from the rest. My previous baby (#4) was born at 9.6 pounds. He was not overdue. There were no complications during his birth, and he is completely healthy. However he was significantly more difficult to give birth to compared to my 7 and 8 pound babies. (And it hurt a lot.) So in pregnancy #5 I was motivated to do whatever it took to “build a smaller baby” as long as it would not harm my baby in any way. T-Tapp is an exercise program (developed by Teresa Tapp, hence the name) which puts you into alignment and activates the muscles for increased strength and flexibility. Although I had T-Tapped some throughout my 4th pregnancy, I really committed to doing the 15 minute basic workout 3 times each week in this fifth pregnancy. This gave me more energy, kept my lymph moving to avoid cellulite, strengthened my back to avoid back pain (even while sleeping) and helped keep my blood sugar in excellent ranges (avoiding an “over-big” baby). A major motivator in keeping me on track with exercise was learning that I was chosen as a grand prize winner of the T-Tapp 30 day challenge (which I entered in Jan/Feb 2011) and would be attending (all expenses paid!) the Beauty Boot Camp retreat in Jan. 2012 put on by Teresa Tapp in Florida. The retreat was only 7 weeks after my baby was born, so I knew I had to exercise to the end of pregnancy to be able to tone up right away. 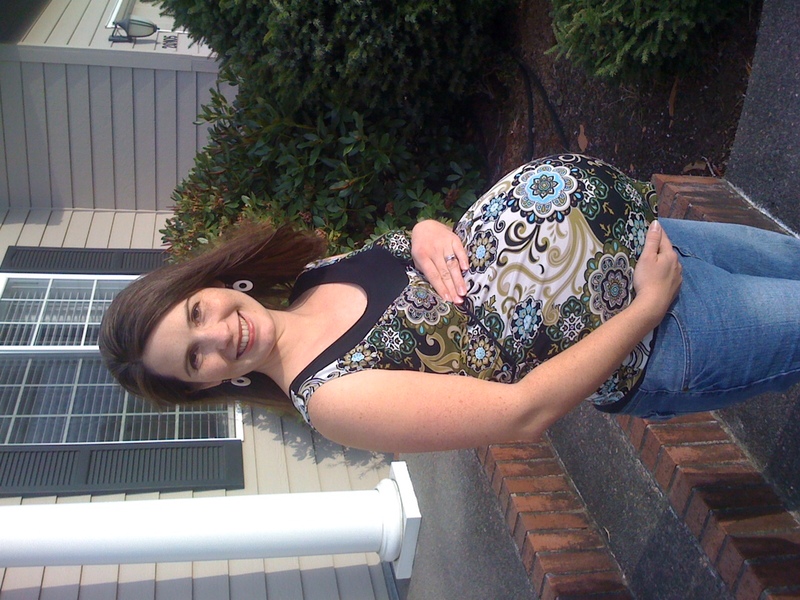 I T-Tapped up until the day before labor started, then began some of the stretching exercises in week 5 postpartum, did the full 15 minute exercise in week 6, and was off to Florida in week 7 for the fitness retreat. I followed the SCD (Specific Carbohydrate Diet) strictly from the middle of my sixth month up until a week before my due date, at which time I added back some complex carbs to “carb load” for labor. SCD is basically grain, sugar, and starch free…not even small amounts of lactose are allowed. Honey is allowed, and fruits, but those are the only sugars. This means you end up eating a lot of vegetables and meat, eggs and fruit. We also ate a lot of our own homemade (24 hour culture) yogurt and creme fraiche (like sour cream but even yummier), and zucchini and/or apple muffins made with almond flour. My son’s doctor prescribed the diet as a way to improve his gut flora and absorption. However, I felt that my entire family may be able to benefit from it, and with all the work it would be I couldn’t see cooking two separate mealplans. So I put us all on it. (My husband ate grains at lunch away from home, and after a few weeks I began giving my 13 month old and 3 year old raw milk again.) My midwife had suggested avoiding carbohydrates as a way to have a smaller baby, and I felt that this diet was so packed with nutritious foods that it would be a good way to implement that idea. My ending pregnancy weight was about 9 pounds less than the previous pregnancy (even though I began this pregnancy 5 pounds heavier than the previous, and I have more muscle than before, which is heavier). In previous pregnancies I tested positive for Group B Strep, but my anti-microbial diet (SCD) along with GSE and probiotics was effective enough in altering my gut flora to the point that I tested negative at the end of this pregnancy (those of you who have tried to change the flora balance in your gut know how difficult this is…often taking years of effort). 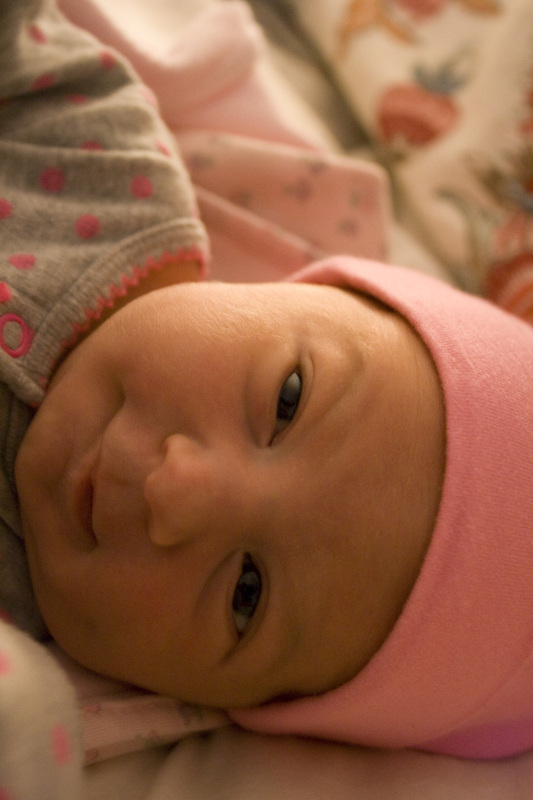 And my baby was born at a lovely 7.8 pounds, even though she was 9 days over her due date. Although my 2010 pregnancy was good, my 2011 was great! Can’t you see that in the pictures? One thing I’ve learned after having 5 babies, is to take seriously the 6 week postpartum period. Stay in bed for the first week, then take it as easy as you possibly can. I was blessed to have many meals prepared for our family by friends and family. I decided to look on that as a blessing for REST, so I would take a nap in the afternoon when dinner was on it’s way. It would have been natural to me to clean house, do paperwork, or blog, but I MADE myself lay down. I’m glad I did. I needed it! At 5 weeks postpartum I began stretches, and at 6 weeks began the 15 minute T-Tapp routine. Now a month later, I’ve been seeing my body tone up so much faster and easier than before. Louisa is just thriving; at her 6 week check up she was over 12 pounds, and she now sleeps 6-8 hours in the night. (Hallelujah!) She is solely breastfed. Here’s a picture of me which my husband just snapped a few minutes ago (yeah, it’s not my favorite hair and makeup day, but I’m keeping it real). Make sure to enter your email in the 10 Day Drawing on the T-Tapp website (winners drawn every 10 days). I entered several times from January-May of last year, then I did win in May. I just entered last week, and won again . . . so there’s proof that if you keep entering you will get picked sometime. The prize is a free workout video (which tend to be shorter, focused exercises) and free shipping. There is no purchase required, but they do also give you a coupon for 50% off a video of your choice (plus the free shipping), which is a great deal if you are wanting to buy a certain workout which isn’t offered in the prizes. I recommend starting with the Basic Workout Plus because that’s what I’ve been doing to feel better (it is designed for people with chronic fatigue, and really gets the lymph pumping). I love BWP because it is a series of exercises all in a row so you get it done in 15 minutes (which means it actually happens…). Also, BWP has quite a bit of small stretches between the exercises which I think are what make it feel so good. I am not an affiliate of this company, and do not receive any compensation for recommending their products; I’ve simply been impressed with their company and the results I’ve achieved while following this program. To celebrate the end of my first T-Tapp challenge, I am giving away a coupon good for 50% off any T-Tapp workout DVD/VHS! 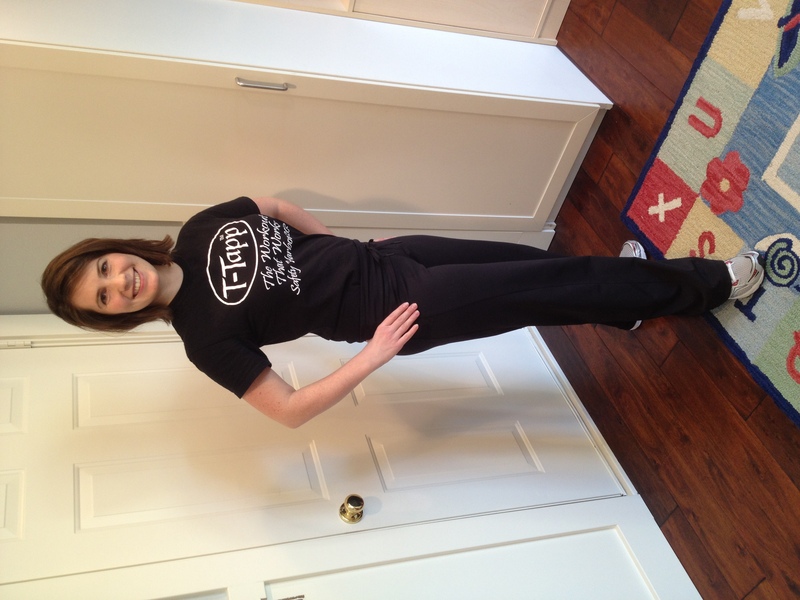 I love T-Tapp; I’m losing inches and feeling more energized (see my blog about that here). So of course I wanted to sign up for the 30 day challenge, which began January 27th, and ends in just a few days on February 27th. Now, as I T-Tapp my way to the finish line, I’ve decided to give away this great coupon so one of you can begin this wonderful, effective, and time-saving exercise program with a great deal. On Monday, the 28th, a winner will be randomly chosen to receive the coupon; I’ll email the winner. The winner of the coupon will have 5 days to redeem the coupon from the T-Tapp store by calling their store (the coupon will expire on 3-4-11). The coupon can be used for any video in their store; I highly recommend starting with the 15 minute exercise routine Basic Workout Plus, list price of $39.99, which would make it $19.99 when using this coupon! Also on Monday you can read about my experience this month doing the T-Tapp challenge, and more details on how to begin. Good luck to everyone on this giveaway! Not me. I lost 5 lbs, and 17.5 inches. Yeah, and I’m just as shocked as you. So read on. In my last post, I mentioned that I’d be sharing with you the exercise routine that has actually worked for me. Well, here it is: T-Tapp (t-tapp.com). I truly feel like I can recommend this program, since I am totally non-athletic, uncoordinated, and though I was within my weight range when I began T-Tapp a year ago, I was not toned or fit. Yet, it has helped me to become more toned, increased my stamina during pregnancy, and increased my coordination, in addition to other health benefits (more energy, immune enhancement, improved mood and sleep). And that 17.5 inches lost is hard to ignore. T-Tapp (created by Teresa Tapp) is a series of movements that strengthen your core, while standing in spinal alignment. They pump the lymph fluid, which I think is the main reason that I feel so much better on the days I exercise. It’s isometric, cardio, stretching, rehabilitative to bad joints, low impact. And because the Basic Workout is only 15 minutes, I’ve been able to DO it, on average 3-4 times per week. Before this workout, I had tried Curves, and gave it up after a year and a half when I couldn’t be consistent enough with going (6AM was my only time to go, and that’s hard to do when you have an infant). Although it was fun to go and I was certainly sweating through those workouts, it seemed to me that all the women going there never made any significant change to their fitness level (including me). I’ve also tried a few workout videos over the years, none with much result, even with lengthy workouts. And I also felt like they were taught by fitness models, rather than health trainers. It sort of zaps your motivation when you consider that the instructor has a really different body type than yours, and probably has never been acquainted with a baby belly (or 4th baby belly! ), much less with how to lose one. I don’t know that Teresa Tapp has ever had a baby, but there are tons of testimonials on her site from mothers with 6, 7, 8, 9 and more children, who have shed pounds and lost hundreds of inches of baby-weight doing T-Tapp. Teresa also explains body types and how they affect problem spots, and determine what is realistic for you to achieve with your body. I happen to have the same body type which she has, long torso, short legs. I tell myself: if she can do this, I can too. The Basic Workout Plus (15 min.) is tough (muscle and coordination wise), but it was designed for people with Chronic Fatigue, so it’s not going to exhaust you. This is what I started with, and I think it would be a good place for others to start. I did this during pregnancy, from the 3rd month to the 8th month. I started in again with this workout at 4 weeks postpartum, although I took it slow. At 3 months postpartum, I began to add a few moves from the Total Workout, which I did for about 7 weeks over the holidays. This is where I really began to see inch loss. (Basic Workout is the first 15 minutes of Total Workout.) In the coming year, I hope to use a combination of Basic and Total Workouts on an every-other-day basis to become fit, and then drop back to just the Basic a few times a week for maintenance. If this sounds like something which might work for you, check out the website. Make sure to enter your email in the 10 Day Drawing (winners drawn every 10 days). I entered several times from January-May of last year, then I did win in May. I just entered last week, and won again . . . so there’s proof that if you keep entering you will get picked sometime. The prize is a free workout video (which tend to be shorter, focused exercises) and free shipping. There is no purchase required, but they do also give you a coupon for 50% off a video of your choice (plus the free shipping), which is a great deal if you are wanting to buy a certain workout which isn’t offered in the prizes. I am not an affiliate of this company, and do not receive any compensation for recommending their products; I’ve simply been impressed with their company and the results I’ve achieved while following this program. One workout is not going to be right for everyone; if you’ve found one that is working for you, stick with it! Consistency is what will really give results in the long term. I hate to exercise. At least I used to, before I was able to do it successfully. For me, success has meant that I was able to fit it in my day, and that it actually made a difference in how I felt, how my body looked, and how I felt about myself. I think these are good goals for exercise. Success in exercise had never happened for me in my entire life, until this past year. This is one of a few things which has helped me feel better in 2010 than I did for at least the 10 years before it. That’s saying a lot. This non-exerciser/exercise hater/excuse Pro will now choose to exercise every other day because I feel better when I do. Of course, these benefits will only be yours if exercise becomes a habit. Part of making habits is just doing it, and part is finding the routine that is going to work for you. However you exercise, the main thing is that it works for you and that you do it. So find a routine that works, and get moving! Next post: I’ll tell you about the exercise program that I’ve been doing (read: actually been doing) this past year. I feel like I can really recommend it to others, as it has helped me lose 17.5 inches in the last 8 weeks. . . and that was over the holidays!